Attorney General Barbara Underwood has sued the Trump Foundation, alleging violations of charities, tax and election laws. ALBANY — Gov. Andrew M. Cuomo said Wednesday he’s prepared to give the state attorney general authority to conduct a criminal inquiry of the Trump Foundation, though it’s not clear if such action would slow an ongoing civil lawsuit alleging the president used the charity as a personal piggy bank to enrich himself and boost his election campaign. “At Governor Cuomo's direction, the state stands ready to provide the Attorney General with the appropriate criminal referral on this matter if and when she asks for it,” Alphonso David, Cuomo’s counsel, said in a statement, referring to Attorney General Barbara Underwood. 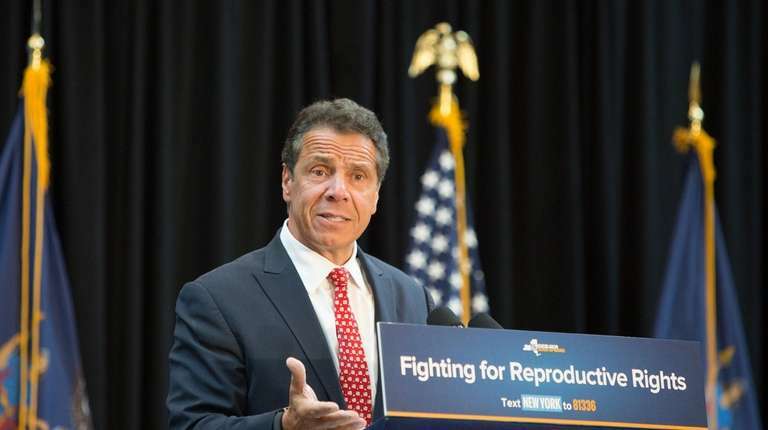 Cuomo’s unexpected announcement came late Wednesday and followed calls from Zephyr Teachout, a candidate for attorney general, that the governor give the attorney general’s office more tools to look into President Donald Trump’s foundation. The demand also was part of a petition led by the progressive group MoveOn.org. Cuomo is running for re-election and faces a challenge for the Democratic nomination from actress and activist Cynthia Nixon. Last month, state Attorney General Barbara Underwood sued the Trump Foundation, alleging violations of charities, tax and election laws and asserting “illegal coordination with the Trump presidential campaign.” Underwood’s lawsuit seeks $2.8 million in restitution and a ban on Trump leading any charitable organization for 10 years. Trump called the lawsuit a “ridiculous case” and vowed not to settle. Underwood, who isn’t running for re-election, said through a spokesperson she is weighing her options while the civil lawsuit proceeds. It’s possible a criminal referral could lead to a judge issuing a stay that would delay the civil lawsuit, the attorney general’s office noted. Teachout, who held a news conference at Trump Tower earlier Wednesday on the issue, applauded the decision. Teachout is in a four-way race for the Democratic nomination to succeed Underwood, contending she would be the most aggressive in fighting White House policies.